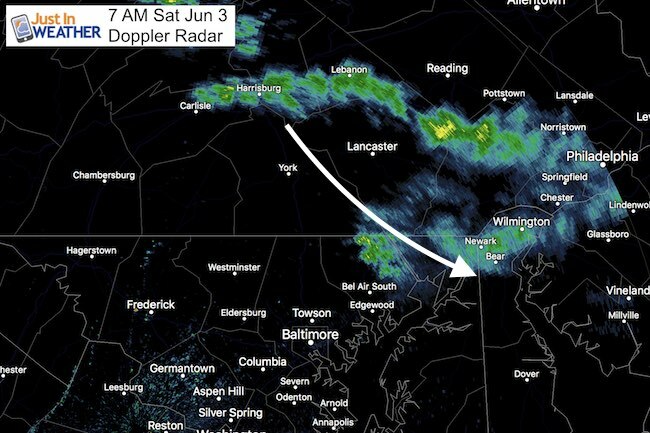 This morning a band of rain slipped south from Pennsylvania into Harford and Cecil County in Maryland. It wasn’t heavy, but should be noted that it highlighted the computer modeling error. 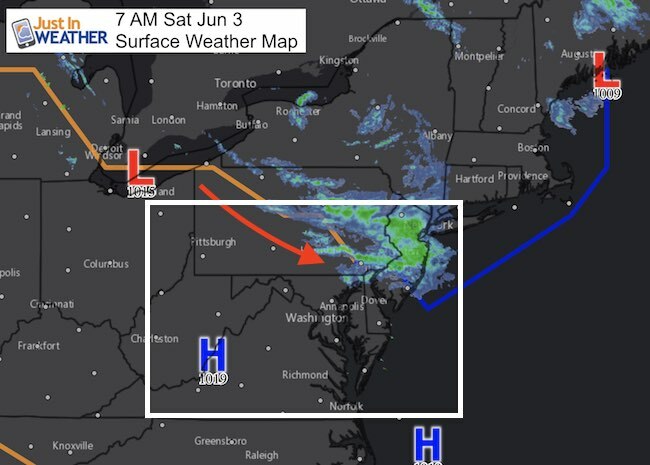 Compare the Doppler Radar at 7 AM with the short range modeling showing the rain band off by more than 50 miles. 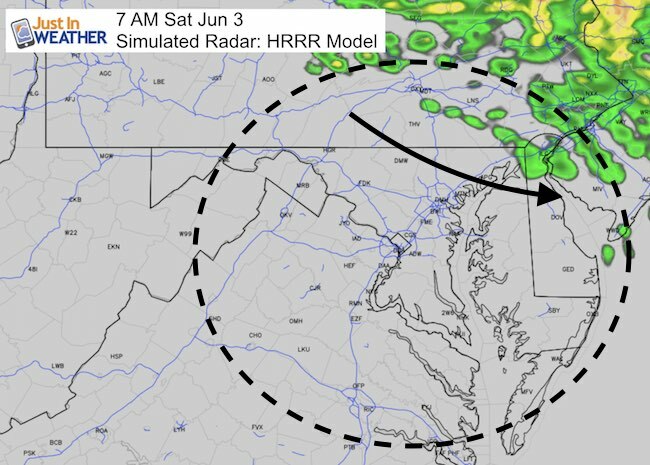 This is important because the short and mid range models have been poor to plot rain recently, so looking at the potential for showers this afternoon. We might have to shift the line farther south. The timing has shifted back again. 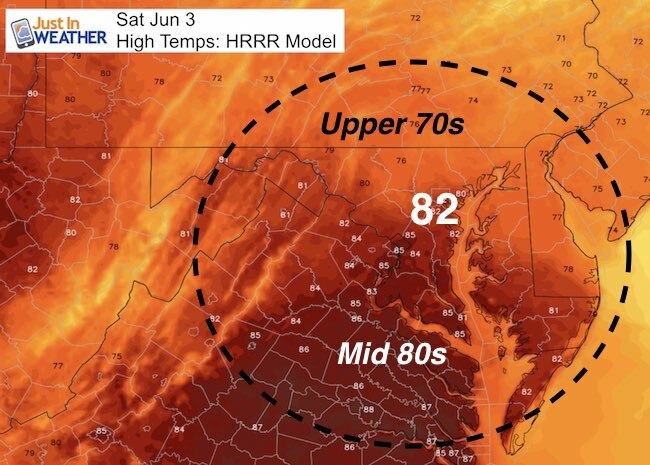 So much of our weekend should be dry. The bulk of the rain threat will be Monday. I need to point out the modeling error again, so this rain band location is likely to be off by 50 to 100 miles. Needless to say, cooler air will return Tuesday. 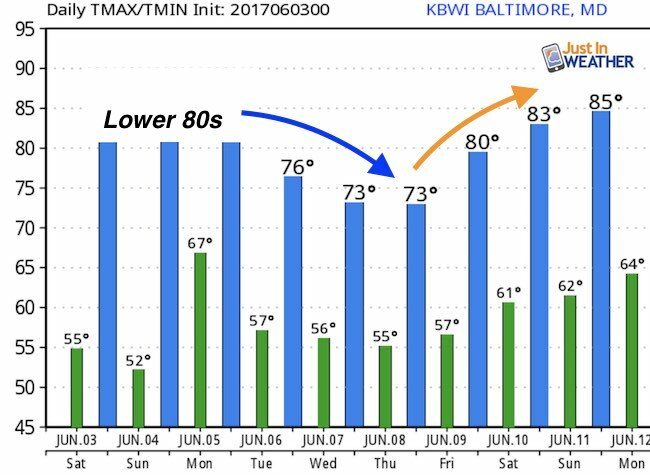 Highs may struggle to get into the 70s a few days next week. Be part of my 4th annual hike and bike across Maryland this August. See my trek page and sign up for information to do one day, the whole week, or even sponsor this great event.